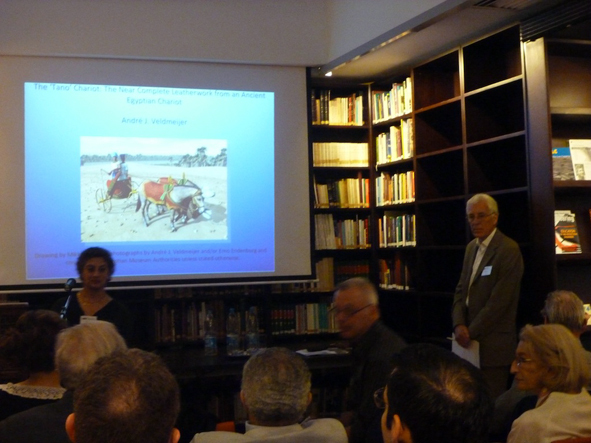 Selection of images of the First International Chariot Conference, jointly organised by Dr. Salima Ikram of the American University in Cairo and Dr André J. Veldmeijer of the Netherlands-Flemish Institute in Cairo, took place on Friday 30 November and 1 & 2 December. 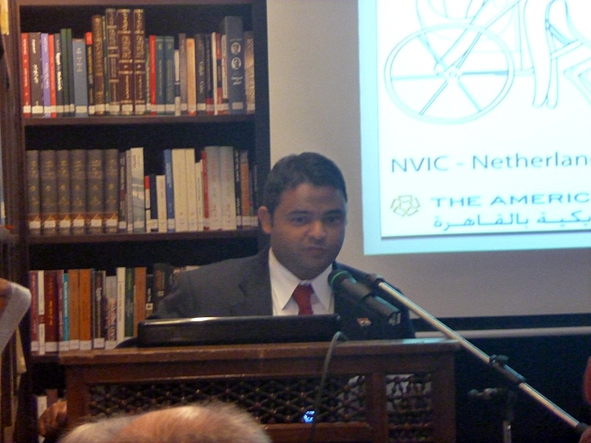 The conference was held at the NVIC, with specialists from all over the world attending. 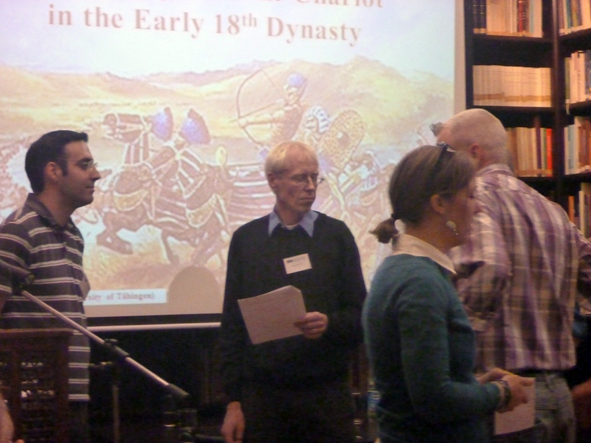 This exciting conference covered a wide variety of topics (see the abstracts at http://www.palarch.nl/category/egypt/), although the focus remained on ancient Egyptian chariots. 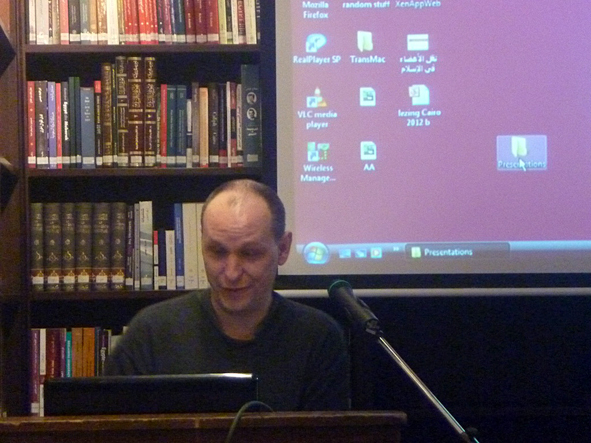 Twenty-two papers were given, including the key-note lecture by Prof. Dr. Joost Crouwel who, back in 1973, studied Tutankhamun’s chariots together with the late Mary Littauer. 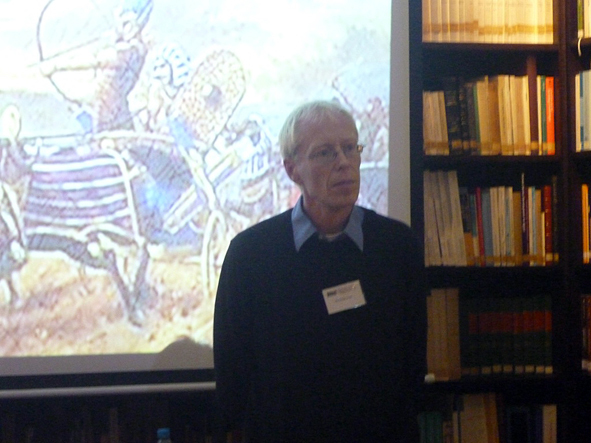 The objective of the conference was to assess the current knowledge on chariots and pinpoint the lacunae for further study. 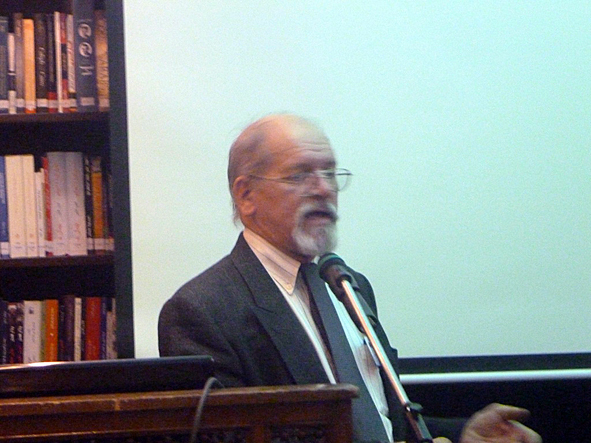 Thus, research can be directed more precisely to acquire missing knowledge. In this we were successful as the conference served as inspiration for new research, new ideas and as meeting point for scientists. The success of the conference can, perhaps, best be valued by the call for a follow-up conference in due course. 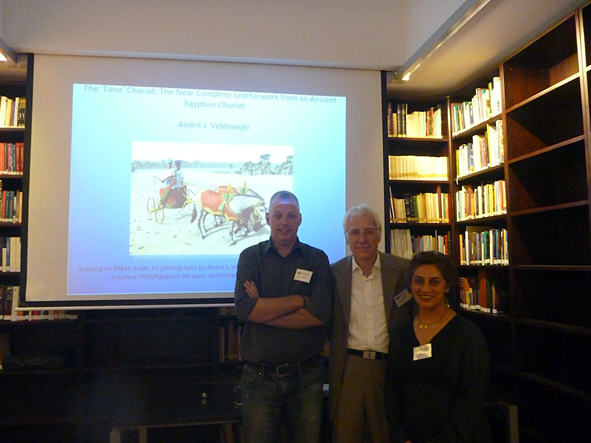 The organisors, André J. Veldmeijer (left) and Salima Ikram (right) with key-note speaker Prof. Crouwel. 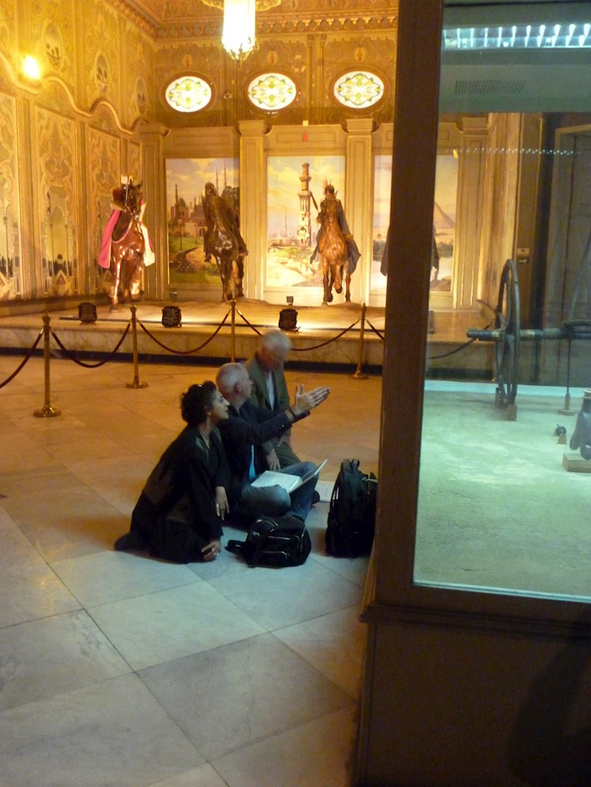 The day after the Conference, the three were spotted in the Military Museum, studying one of the chariots of Tutankhamun. 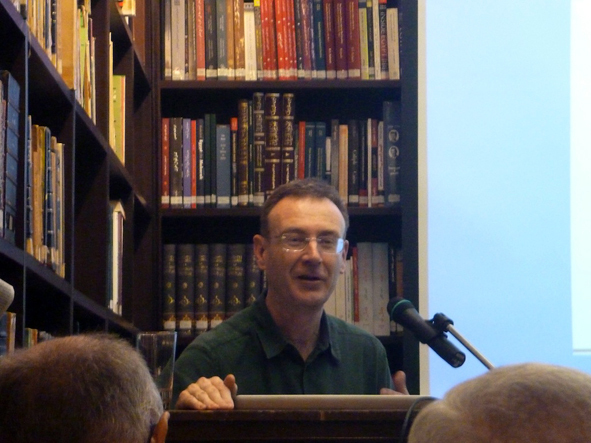 Print article This entry was posted by andre on 10 December, 2012 at 3:06 pm, and is filed under Uncategorized. Follow any responses to this post through RSS 2.0. Responses are currently closed, but you can trackback from your own site.